Can your organization confidently answer that question? We have been making college visits with our older son over the last few weeks. It’s been interesting to hear each school share what makes them unique. One is located in a large city and promotes the ability to live, work and study in a vibrant, diverse urban environment. One was originally founded as a teacher’s college and maintains a commitment to excellent teaching by full-time faculty in every undergraduate class. Another is a private school with a highly esteemed, integrative liberal arts curriculum. In my son’s area of interest (performing arts), some schools have a strong emphasis on Shakespeare, others on offering a first-rate music theatre program, others on the study of world theatre. Whether or not any of these schools will be a good fit for our son, we at least know their distinctives. One school, however, stood out because they couldn’t tell us what made it unique. As we toured the performing arts department, I asked our guide what made her school’s program unique. She looked at me like she had never thought of it before and finally conceded, “The people. We all get along here.” Her response was encouraging but definitely not compelling, especially since we had already made great connections with “the people” at several other schools. It’s good to be solid, but it’s also good to know what makes yourself special. 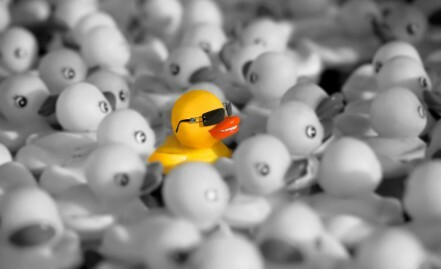 Do you know what makes your organization unique? Can you communicate these distinctives clearly and compellingly?